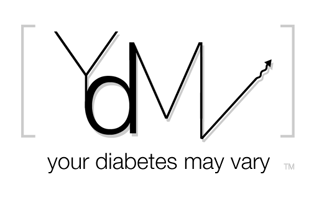 Your Diabetes May Vary: Who is Responsible for this Mess? Strips cost too much. Meters should be more accurate. Bring on the angry Mob! I don’t think there is anything in diabetes-land that there is more of a love hate relationship with than meters. OK skip the love part. If strips cost half as much, the meter was more accurate or both we would be happy. So Meter Company change your ways! OK that is one possible outcome. I took a lot of economics courses back when a slide rule was a cutting edge marvel. It has been a while so things may have changed in economics but one of the assumptions in the whole thing back then was that consumers are rational and will choose the most goodness for the least actual money. It was call maximization of utility and the economics professors even droned on about "utils" as if it were some commodity of consumer happiness. Ha! As if! We modern folks know the commodity of happiness is called an iPhone. Over the years I have come to discover, and I know this is gonna be a shock but it may win me the Nobel Prize for Economics, consumers are not rational. For example witness the calm rationality that surrounds the iPhone. Here is my point. If making test strips is in fact obscenely profitable then according to stuffy old dry economic text books, by people with names like Maynard, new producers will enter the market and provide cheaper strips, more accurate meters or both. They may even have an iPhone app in the works. Consumers would then beat a path to the new company’s door. Users would turn their backs or possibly their middle finger to the old strip companies. To stay in the game Maynard says the old dudes, and he outta know 'cause he is one, would need to make cheaper strips, better meters and maybe an iPhone app too. There are cheaper retail strips and more accurate meters on the market. Why complain to the old school strip maker their price is too high, vote with your feet err or fingers in this case, and change. As consumers we have a roll in the market. Voting by changing is the most effective complaint. We found better meter options White is the new Black but Pink is still Pink. Great post. I miss my blue Presto! I digress. I do what I gots ta. I am SO OLD. I don't own an iPhone. I would Never live....on it, yes but...yeah. Rambler? Who.. what? Is it weird to say I love your kids?! As much as I love the colors available on the Presto meters, I love the NON-BLACK cases more! P.S. Believe it or not, my word verification tonight... palin!! !